2018 is year of the Dog. 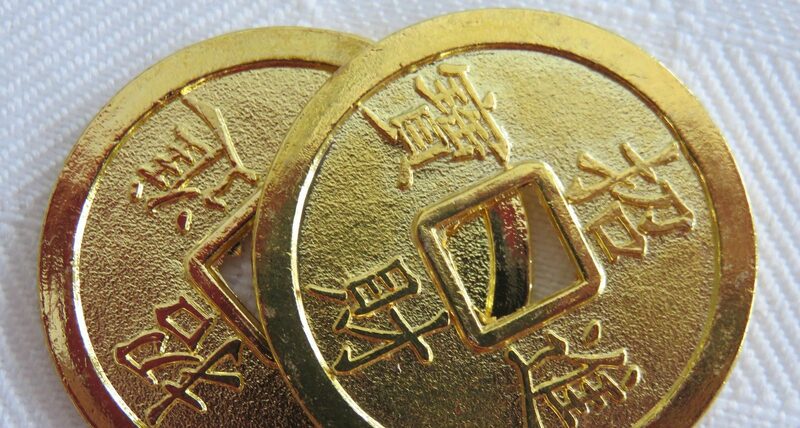 The lunar new year is on 16th February 2018. 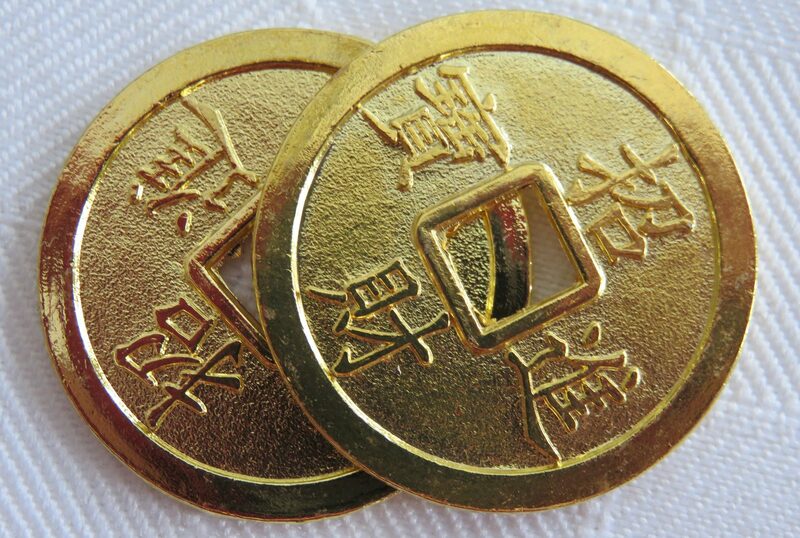 A new year brings new luck. Feng Shui changes every year. Did you know that? 2018 is also known as a 9 year. What does a 9 year mean? A 9 year means that there’s a pattern of stars coming to your house which affects prosperity and happiness for you and your family. As well as cycle of 12 animals with each animal ruling a year, there’s also a cycle of 9 stars ruling a year. 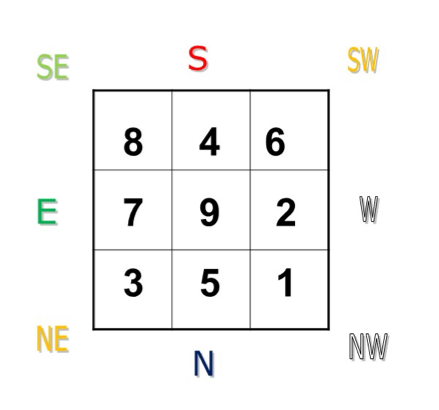 In feng shui we talk about the 8 directions: N, S, E, W, NW, SW, NE, SE. Each of the squares is in a direction. You want to mark out the directions on your floorplan and draw on the directions like this, so you can see which star is in each room. The stars are not limited by the boundaries you see in the luo shu chart. 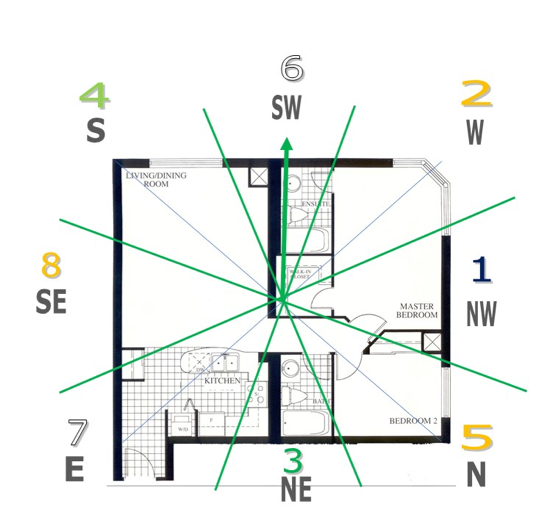 The stars are found in directions relative to the centre of your floorplan. You could have more than one star in a room if the room covers more than one sector. Here’s an example of an apartment with the annual stars in each of the directions. You can see that the open plan living/dining room covers the east, south-east, south and south-west. The room will experience the effects of the 7 star in the east, the 8 star in the south-east, the 4 star in the south and the 6 star in the south-west. Proponents of flying stars believe that by knowing where each of the different stars are hanging around in your house this year means you can get ahead in career and business, enjoy romantic relationships and good health. Each of the stars brings different qualities which affect your life. Are you curious? Read part 2 to find out – in next month’s post.